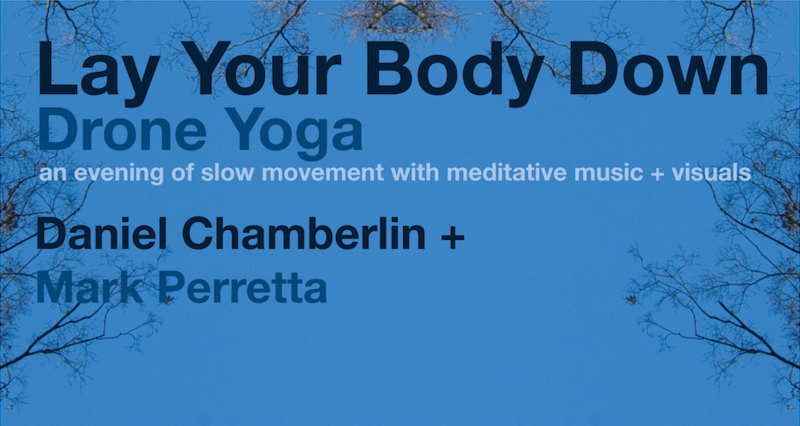 Daniel Chamberlin and Mark Perretta will host Lay Your Body Down - Drone Yoga, monthly Yin yoga sessions at the PlySpace Gallery. The happenings will include a 75-minute yoga and meditation practice accompanied by layers of live, reverberating keyboard sounds and undulating visuals. The PlySpace Gallery has room for about 20 participants. RSVPs are not required, but if you need the slowdown, the tape loops, the keyboard drones, and the undulating botanical mandala projections like we do and want to make sure there's space for you, simply email Daniel Chamberlin at daniel.chamberlin@gmail.com and remember to include date information!